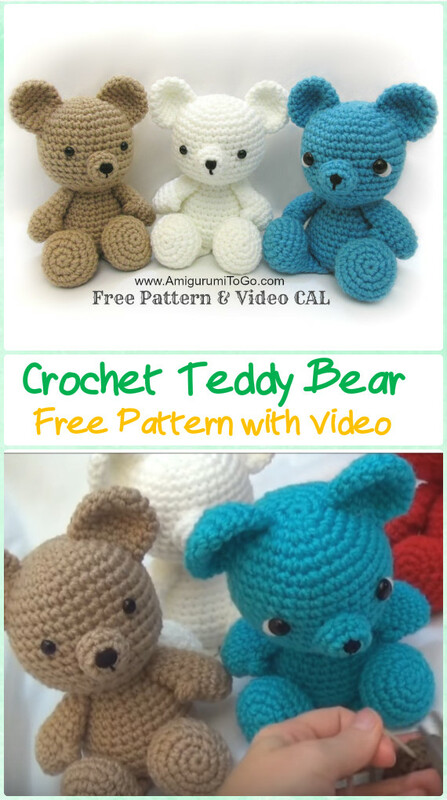 A Collection of Amigurumi Crochet Teddy Bear Free Patterns. Today our Crochet Channel is going to share a fun list to crochet teddy bears not only for kids, but all teddy lovers. Teddy bears are almost all known for kids worldwide, remember the sew teddy bears? the teddy bear became an iconic children’s toy, celebrated in story, song, and film. Teddy bears are among the most popular gifts for children, Scroll down and see the crochet bears for girls in love, for wedding, and more different ways to crochet bears.